Cheese-Naan is the blog of our day-to-day life in India. We are Johanne & Nicolas (aka JoNi) and we like to travel, to discover new things and that’s why we’ve decided to take the opportunity to try to live and work in India, Bangalore since March 2012. We became 3 in 2016 with the arrival of our small Noé (so now we’re JoNiNo!). Nicolas was working in an international advertising agency during the first year and a half. Johanne two months later faced the crazy Indian bureaucracy to create a start-up specialized in “outsourcing” that we’ve called “TITRI“. We’re still now working both of us to develop this venture. 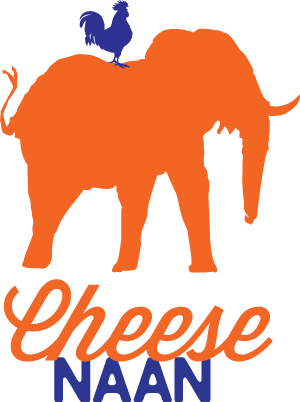 The aim of our blog, Cheese-Naan is to share with you our experience of life in India and to make you travel along with us here. We’re trying our best to produce non-boring texts, pictures and sometimes videos of our good and bad experiences here. We weren’t writing in English at first but decided to translate all our content also in the second-language of the world as we think it will be a good exercise for us and because some non-French may also be interested. As you’ve seen it, we tried to create a logo integrating our two worlds, India and France. And for the ones who didn’t follow us for our previous trip from Paris to Sydney on a motorcycle, you can discover our other blog, testimonial of our adventure that we’re going to extend with our next different travels through the world (all in French, unfortunately): On The Road Again.